We are a leading Exporter of generic nexavar sorafenib, cabgolin, hisone 10mg tablet, cabergoline 0.5mg tablet, cabergoline 1mg tablet and febuxostat tablet from Surat, India. Sorafenib is used for the Treatment of Primary Kidney Cancer (Advanced Renal Cell Carcinoma) and Advanced Primary Liver Cancer. 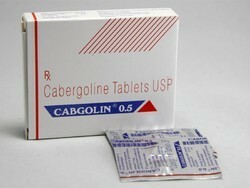 Cabgolin 0.25mg, Cabgolin 0.5mg tablets. Our provided tabletis processed using superior quality chemical compounds and progressive technology in adherence with industry norms. So as to provide a qualitative grade, this tablet is rigorously tested on varied parameters. We offer this tablet to our clients in various packaging options at nominal prices. We are extremely engaged in manufacturing, trading and supplying a superior quality "Hisone Tablet". Our provided tabletis processed using superior quality chemical compounds and progressive technology in adherence with industry norms. So as to provide a qualitative grade, this tablet is rigorously tested on varied parameters. We offer this tablet to our clients in various packaging options at nominal prices. Hydrocortisone Tablets are indicated for replacement therapy in congenital adrenal hyperplasia in children. 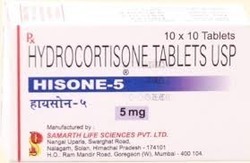 Hydrocortisone Tablets are also used for the emergency treatment of severe bronchial asthma, drug hypersensitivity reactions, serum sickness, angioneurotic oedema and anaphylaxis in adults and children. 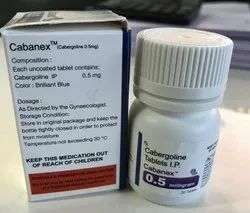 Samarth Life Sciences Pvt Ltd.
Cabergoline 0.5mg is used to treat different types of medical problems that occur when too much of the hormone prolactin is produced. It can be used to treat certain menstrual problems, fertility problems in men and women, and pituitary prolactinomas (tumors of the pituitary gland). 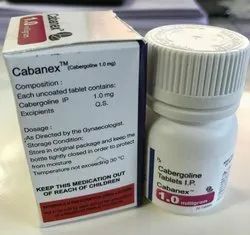 Cabergoline 1mg is used to treat different types of medical problems that occur when too much of the hormone prolactin is produced. It can be used to treat certain menstrual problems, fertility problems in men and women, and pituitary prolactinomas (tumors of the pituitary gland). Febuxostat is used to treat painful joint condition (gout) and increased blood uric acid levels (hyperuricemia). Febuxostat belongs to a class of medications called xanthine oxidase inhibitors. It works by decreasing the amount of uric acid in the body and thereby preventing gout attacks. We Tissue Pharma, are actively engaged in Manufacturing, Exporting and Trading wide range of Pharmaceutical formulations.With our expertise in this industry, We are able to offer superior range of Sorafenat Tablets. At vendor’s end, offered tablets are processed using the latest quality chemical compounds and modern technology in sync with industry norms. Our provided tablets are tested on predefined parameters so as to ensure their quality and high purity. Apart from this, clients can avail these tablets from us in various packaging options. 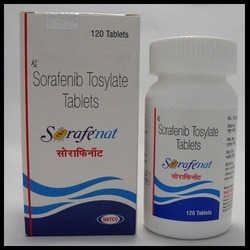 - Sorafenat tablets is used for the Treatment of Primary Kidney Cancer (Advanced Renal Cell Carcinoma) and Advanced Primary Liver Cancer. - Sorafenib is prescription drug and should be used under proper medical guidance and advise.Do not share the medicine with others, since they may be suffering from a problem that is not effectively treated by this drug. 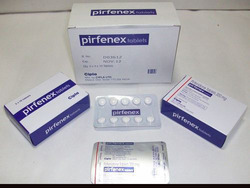 We hold specialization in Manufacturing, Exporting and Trading wide range of Pharmaceutical formulations.With our expertise in this industry, We are able to offer superior range of Pirfenex Tablets. At vendor’s end, offered tablets are processed using the latest quality chemical compounds and modern technology in sync with industry norms. Our provided tablets are tested on predefined parameters so as to ensure their quality and high purity. Apart from this, clients can avail these tablets from us in various packaging options. - Pirfenidone belongs to the class of medications known asantifibrotics. It is also an anti-inflammatory. Pirfenidone is used to treat adults with mild-to-moderate idiopathic pulmonary fibrosis(lung scarring), also called IPF. IPF is a condition in which the lungs become thickened, stiff, or scarred over a long period of time. How pirfenidone works is not completely understood, but it may reduce inflammation and fibrosis in the lungs and may slow down the worsening of IPF. 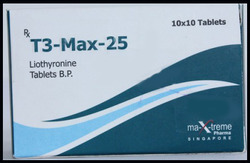 Liothyronine sodium is a synthetic (man-made) version of one of the two hormones made by the thyroid gland, triiodothyronine. It is used for treating individuals who are hypothyroid (do not produce enough thyroid hormones). Thyroid hormones increase the metabolism (activity) of all cells in the body. In the fetus, newborn infant and child, thyroid hormones promote growth and development of tissues. In adults, thyroid hormones help to maintain the function of the brain, the use of food by the body and body temperature. The FDA approved liothyronine in May 1956. Methylprednisolone is used in the treatment of severe allergic reaction, allergic disorders, asthma, rheumatic disorder, skin disorders, eye disorders and nephrotic syndrome. We Tissue Pharma, are actively engaged in Manufacturing, Exporting and Trading wide range of Pharmaceutical formulations. With our expertise in this industry, We are able to offer superior range of Bortenat(Bortezomib) Injections. At vendor’s end, offered Injections are processed using the latest quality chemical compounds and modern technology in sync with industry norms. Our provided Injections are tested on predefined parameters so as to ensure their quality and high purity. Apart from this, clients can avail these Injections from us in various packaging options. 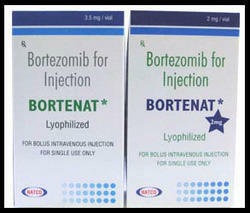 - Bortezomib is a cancer chemotherapy drug used to treat certain types of tumors (e.g., multiple myeloma). It blocks certain proteins which helps to slow the growth and spread of the cancer. 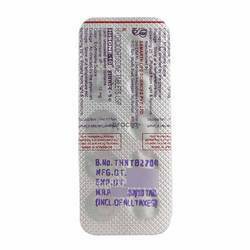 - Bortezomib is prescription drug and should be used under proper medical guidance and advise.Do not share the medicine with others, since they may be suffering from a problem that is not effectively treated by this drug. 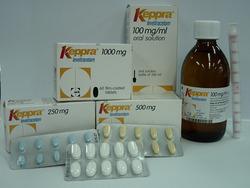 With our expertise in this industry, We are able to offer superior range of Generic (Sofosbuvir) Tablets. At vendor’s end, offered tablets are processed using the latest quality chemical compounds and modern technology in sync with industry norms. Our provided tablets are tested on predefined parameters so as to ensure their quality and high purity. Apart from this, clients can avail these tablets from us in various packaging options. 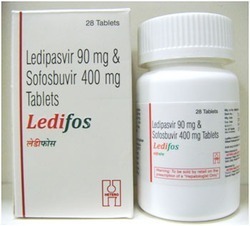 - Sofosbuvir tablets is used alone or in combination with other drugs in the treatment of Hepatitis C virus(HCV). Looking for Generic Drugs ?